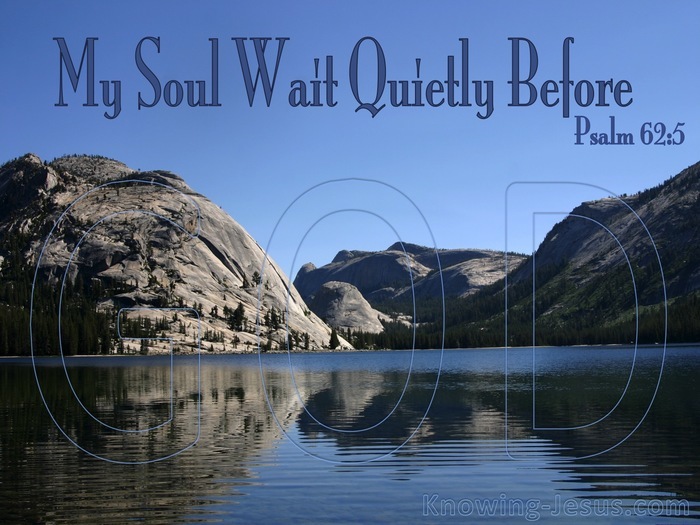 My soul wait though only upon God. My soul be thou silent unto God. My soul be though watchful unto God. God is a Tri-unity of Father, Son and Holy Spirit. Likewise man.. created in God’s image is a trinity of spirit, soul and body. But since Adam’s fall his progeny are fallen creatures, born into a fallen world, and the only hope for mankind is to be reborn as a new a creation in Christ. Man’s spirit is dead in trespasses and sins until made a new creation and born again. Man’s body is dying and diseased until we meet Him at His soon return. 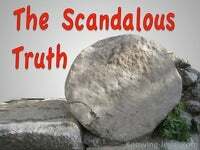 Man’s soul is born in the image and likeness of sinful Adam’s old-sin nature, and for the believer there is a choice – either a spiritual walk or carnal concerns. 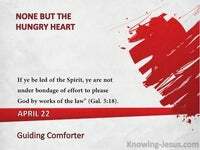 A willingness to permit the Spirit to lead and guide and conduct child-training, OR.. a rebellious nature that resists the Spirit Who will need to deliver chastisement. 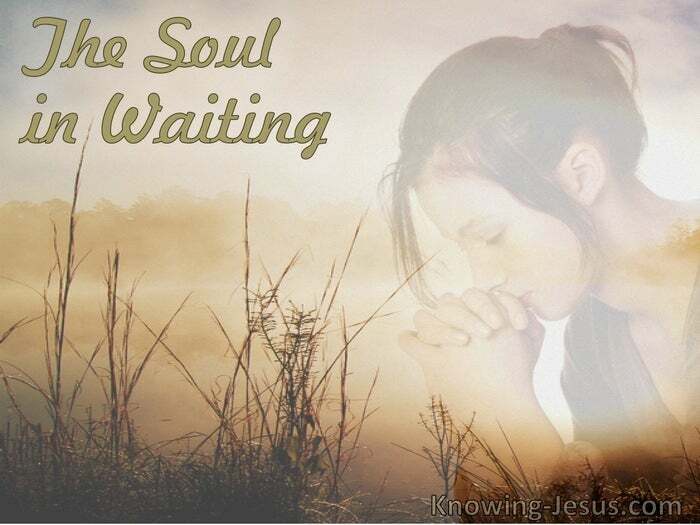 It is predominantly in the areas of the soul that we should ‘wait’ on Him. It is the new man in Christ not our body or spirit that should wait in silence on Him. The spirit is saved, the body will be saved at the rapture and the soul is being saved. The whole of our life is a process of sanctification.. being made into the image of Jesus. It is in the sphere of the soul that the main work of the Spirit is undertaken today. The personal ME:- my reason, my will, my thoughts, my decisions, my emotions. I have the ability and choice to muster my person to concentrate on God or to focus on me, but only concentration on Him will result in a willing transformation of my soul – while concentration on my will results in self-will over-riding the Spirit’s will. Only as we see ‘ME’ through the penetrating lens of the Spirit’s purifying gaze, do we gather a true perspective of what ‘ME’ really is. Only as we allow the piercing eye of God’s truth to search our inner beings, do we realise how much we have built up resistance to His piercing inspection. 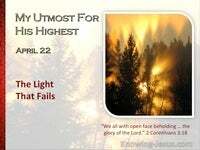 We must be dead-set on concentrating on Him so that He may work in our soul. We must be determined to give Him full authorisation to examine our hearts. The rich young ruler considered his possessions, not his soul and he went away sorrowful. We too will go away sorrowful if we do not willingly yield to His penetrating eye . 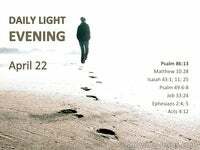 In this verse in Psalms we are told to wait.. to be silent – to be watchful unto God. This means that by a direct act of our human will we concentrate on Him. This is not drifting into mere feelings or reverie – never. Feelings and day-dreamings will never command a truthful verdict of self. 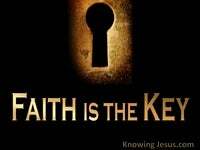 We have to move beyond the false fabrication of flawed feelings and move into the realm of factual faith:- faith that is based on the truth of His Word.